To be honest it has got midlife crisis written all over it. For in the past few months, Continental Club seems to have been reprising travels of yore with some regularity. On this occasion then, our mind is cast back to the middle of a sultry 1981 night; a night further laden with excitement and expectation, as CC took to the skies for the very first time. Destination: Malta. 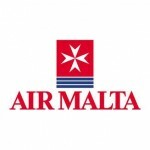 Airline: Air Malta. ETD: 02:00hrs.